← The most (and least) read posts of 2018! Horses are one of Europe’s last big mammals. They shouldn’t really be here: they should have vanished a long time ago with most of the other large mammals from the Pleistocene. Europe once had herds of gigantic, hairy mammoths; solitary, shaggy woolly rhinoceros; deer with antlers wider than I am tall; and so many more. Unfortunately they are gone. Missing from our landscape. A combination of climatic changes and human hunting resulted in these unique creatures disappearing from our beautiful world forever. With the shifts to a warmer climate from around 30,000 years ago, the environment that supported these beasts changed. Many populations diminished, as habitats shrunk. With dwindled numbers, the additional stress of humans was too much for most animals to bounce back from. The killer blow was not just for an individual but for the entire species. 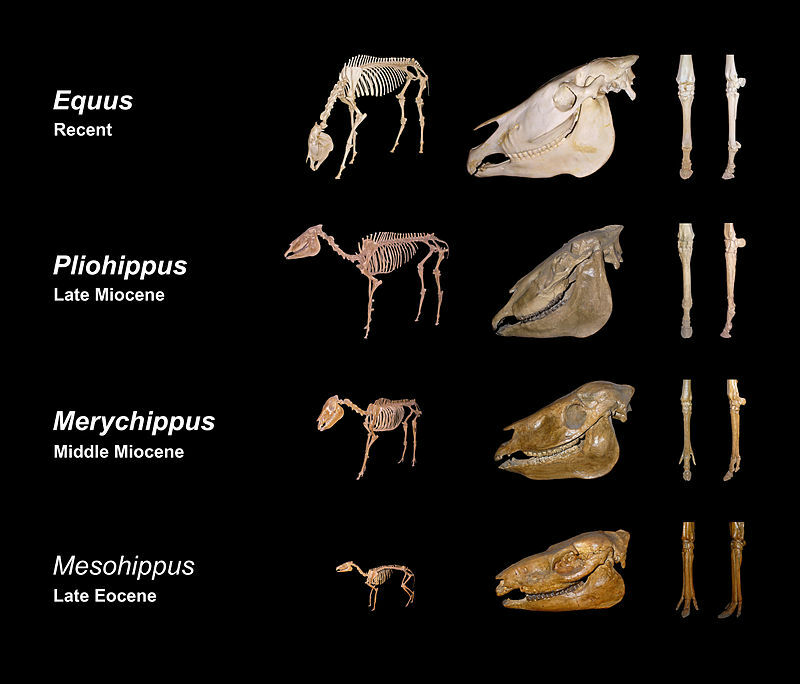 Horses had the same challenges as other large mammals. The grasslands shrunk, limiting their food. And humans really enjoyed horse meat: a myriad of archaeological sites across Europe are full of horse bones with cut marks on them. And there are many sites in North America showing butchery (yes, horses were at home in North America until just 10,000 years ago!). Yet they are still in Europe today. 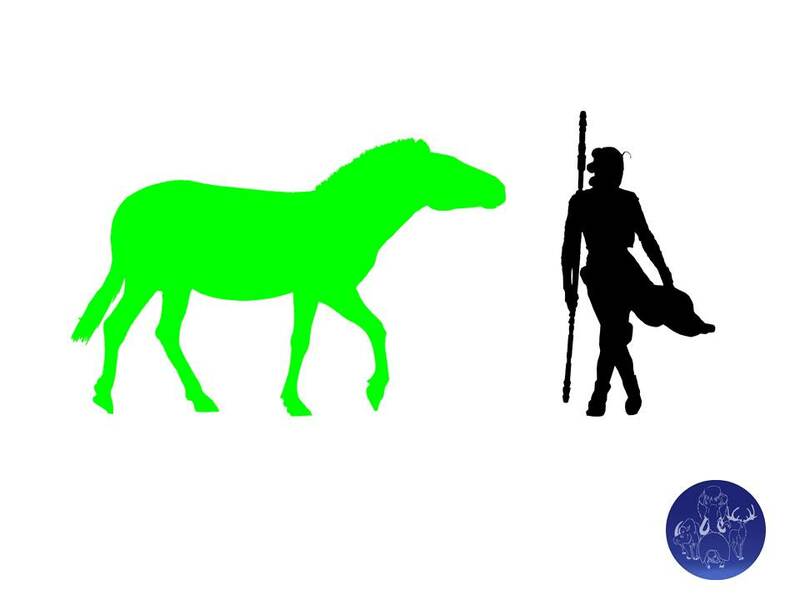 It seems that the very thing that finished off most of the other mega-fauna was key to the survival of horses: humans. Our species saw that they could be used: not for meat, but to help carry things, and even ride. 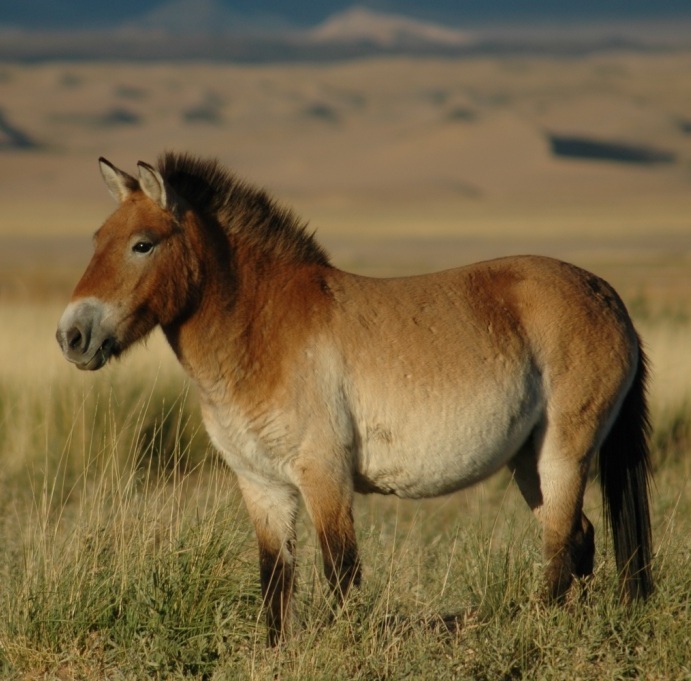 Archaeological evidence is most convincing at Botai, in Kazakhstan, where around 5500 years ago, horses were being used as milk animals (as opposed used for just meat) as well as being used as transport by humans. Jars which contained mares milk still hold traces of the milk lipids, and there is evidence of cheek-pieces in use, showing the animals were bridled to go the directions the humans wanted. The speed and quicker breeding cycle of the horse, compared to some of the larger mammals, certainly helped them survive, but by being ‘useful’ to humans ensured they are still here today. They are the last line of an amazing group. The first animal that can be called a horse was on Earth around 52 million years ago in North America. Poetically named the ‘dawn horse’, Eohippus was about the size of a sheep dog, living in luscious tropical rainforests. With four hooved toes, it was pretty nippy in the forests, browsing on leaves and fruits. Despite its size, Eohippus travelled across the northern hemisphere: from North America into Europe, and was around for around 9 million years. Climatic changes during the Eocene saw the tropical rainforests of North America being replaced by grasslands. Grass is such a familiar part of our lives, we take it for granted. It is one of the most widespread of all plants, and has evolved into an unfathomable range of over 12,000 different species across the globe, colonising every continent. With this tough, fast spreading plant, some herbivores adapted to taking advantage of it as a very easy source of food. Early horses moved out of their tropical rainforest homes to take advantage of the rich grasslands. But grasses are tough. Many contain silica phytoliths, which is tough and wear down teeth pretty quickly. These hooved little animals adapted to the more abrasive food by evolving higher crowned teeth: they were stronger and longer wearing down slower. With more open environments, species began to lose toes making them faster to escape predators. Dozens of species were around from about 36 million years ago all surviving, adapting, changing along with the constant pressures around them. One genus was extremely successful. Evolving around 22 million years ago in the Miocene, Hipparion have been galloping across the planet until just around 780,000 years ago. This is an extremely long time. Especially when you consider our Genus, Homo, has only been around for a little over 2 million years, whereas Hipparion had been on Earth for 22 million years. If you saw Hipparion today, you might think it was a modern horse, albeit a slightly smaller one. It would have looked like a modern horse in almost every respect, apart from a tiny difference. Hipparion had two small toes, not touching the ground, just above each hoof. These are vestiges of this animals past. Hints that the ancestors of Hipparion once walked on more than one hoof. With a need for speed, one hoof is much faster for such a large animal then three toes, so through time the toes shrunk. There were several species of Hipparion across the northern hemisphere. From North America, they galloped into Europe, Asia, and even down into Africa. Sadly they were a lonely twig on the tree of life, leaving no descendants. Some species of Hipparion shared the land with our own ancestors. Incredible footprints preserved in 3.6 million year old volcanic ash at Laetoli in Africa show Australopithicus afarensis walked close by to a number of Hipparion. Homo erectus in Europe and Asia may well have come across this speedy herbivore. No bones have been found yet to show that hominins hunted or ate these horses. There were probably much easier, slower, prey to be had. Unlike the other Late Pleistocene extinctions, humans were not to blame for their disappearance. The climate may well have been a big impact. With cooling temperatures grasses spread, and with expanding rich land new species of grazers, like mammoths and modern horses. This would have been new competition, pressure on resources, and lots of new predators. All these different factors would have had a huge impact on populations of Hipparion, slowly pushing them to the edge of extinction. Extinction happens. Animals are in a constant struggle for survival. Faster predators. Changing climate. Better competitors. Sometimes when you play survival, you win or you die. There is no middle ground. Weinstock, J., et al. (2005). ‘Evolution, systematics and phylogeography of Pleistocene horses in the New World: a molecular perspective. PLoS Biology. 3 (8): e241. doi:10.1371/journal.pbio.0030241. This entry was posted in Horse and tagged Australopithicus afarensis, Eohippus, Hipparion, Homo erectus, Horse, Przewalski horse. Bookmark the permalink. I’m re-blogging on PerchSpective, it’s an excellent article on the horse, thank you for writing it!